1. Cannot open hard disk drives by double click. 2. Double clicking on any drive opens search. 3. Error message being displayed while trying to open drives. 4. Double clicking on any drive opens “Open With” dialog window. 5. Drive opens in new window on double click. 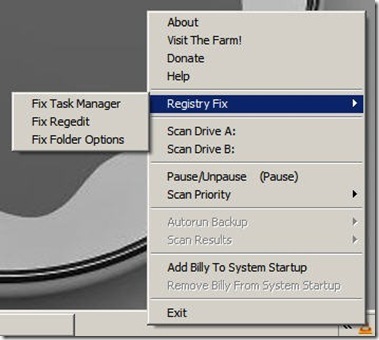 We are going to discuss why these problems occur,how can you fix them using a simple FREE virus removal tool. These issues mentioned above normally occur due to virus infections in computer. These are most commonly spread by pen drives or portable USB devices. When a user double clicks on the portable drive which is already infected by a virus, the virus spread itself on your system and also create a ‘autorun.inf’ in all your drives. So, the whole problem persist due to ‘autorun.inf’ files created by virus in the root directory of drives. Let see how can you fix them all in one go. In order to fix these problems, you can also try FREE virus removal tool which is released recently, called Autorun Eater. It is a tool to scan and remove suspicious ‘autorun.inf’ files found in the root directory of all drives, A-Z, in real-time. 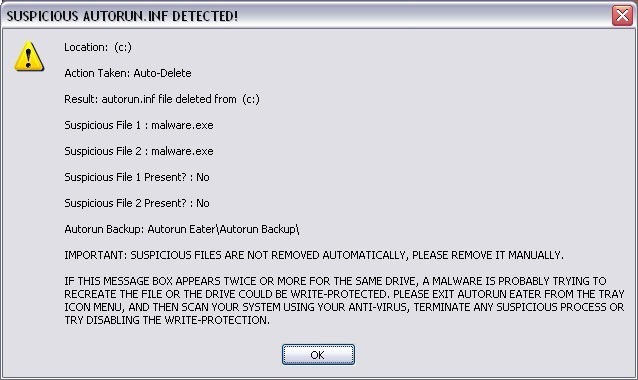 Autorun Eater will remove any suspicious ‘autorun.inf’ files even before the user attempts to open the drive. Note: It will remove all the suspicious ‘autorun.inf‘ files from the virus infected pen drives but will not remove any other virus files so you would have to remove them manually or with some anti-virus tools. It also fixes the three common problems caused by the viruses (as shown in the image below). If you have removed all the suspicious ‘autorun.inf’ files from all your drives, you will be able to open all your drives easily including your pen drive with double click. We have already tested the application on some USB drives, it removes the autorun.inf files and contains no malware, adware etc. Thanks for the nice utility… Regarding task manager, hidden files and other such issues, I recommend Sergiwa’s RRT. And I prefer to take a look on my link I have provided which provides details on removing such malwares/ viruses. this is one of the most useful blogs i have ever come across!! great work and keep it up and kicking!! thanx 4 the help man…i’ve been on this thing 4 a week now…tried a lot of things but atlast this software worked…..
it works it work…get it now!!! 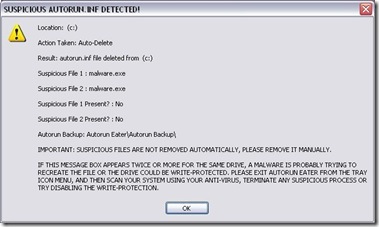 autorun.inf is not detected by eset or webroot spy sweeper. I request you, if possible, could you please suggest me some valuable & genuine websites from where I can get exact Solutions to Computer related Problems? will be greatful as it is giving me lot of headache for last few days. Non of this method is Working for me to show the hidden file and folder…plz help me. hi gurus. i must commmend u guys cos most of the fixes here are really good and effective.more grease on your elbow guys. I think my problem didnt solve cos non-stop received below msg from autorun eater..
And winfile.jpeg show up in all drives…..if i del. it it comes again in a few seconds. I can open my drives by double click….but have the hide folders error. Hey this site really helped me sort out my problem..i downloaded several anti virus and malware software but nothing sorted out my pc till i read this post..autorun eater worked wonders..thanks a lot…Posting from all the way in Zambia..
now i removed one outorun file from my pc. 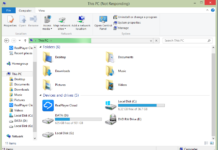 how can i delete autorun.inf in my drive c and d? can this application be used on Windows Server 2003 for the autorun removal ? i have some virus named ‘love’ and ‘important’ in my pen drive..
i have downloaded autorun eater to remove it but it says error deleting suspecius autorun. i have even tried the cmd prompt. Thanks for the tip, now my pen drive is working normal. itz tooo over icant contnue….. This will result in disappearing the desktop items. Your desktop items will re-appear. i am very proud using auto run eater software. Download a unlocker program, example Tizer unlocker. On windows show all hiden files, in you folder options. Thats it, it shoud be gone. Here’s a three step method. It’s very nice website for solve any problem, thanks very… very… very… much and also thanks to experts, who are suggestions very nice; once again thanks all of you. i’m unable to delete autorun.inf in my memory card plz do need full to me. 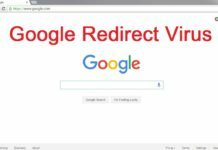 How to remove recycler virus from my PC. Sometime back I had installed Net Protector which I found to be not good. Hence, I had UNINSTALLED it. Late I found that even after uninstalling, it is present in the root kit and had installed a recycler virus. Still , none of the programme has detected it. If I try to start the computer in safe mode, it shows some weird partition files and hangs. Doe anyone have a sure shot solution. 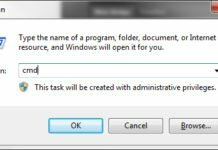 how can enable the task manager? Thanks so much troublefixers !!! It remove the all problems I had…. Thanks again!!! cant we scan any drive or any file with autorun eater or does it automatically detects if autorun.inf is there??? Just use Linux which shows all contents no matter hidden, system etc. Windows is stupid os that’s perfect for virus writers only. Great resource.. i have been searching for solution like this….